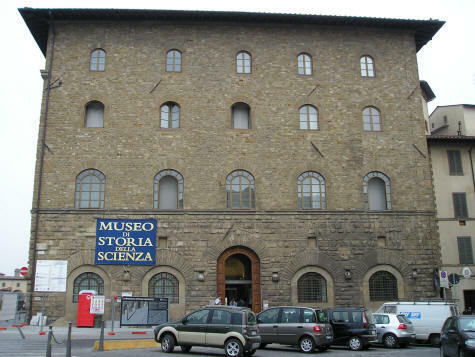 The Museum of the History of Science (Museo di Storia della Scienza) is a fascinating attraction located in the Signoria district of Florence Italy. The museum contains Galileo's early telescopes and some of his experiments into gravity. It also has a great collection of old clocks, bikes, maps and even Galileo's middle finger! The museum is situated on the Arno River, just east of the Uffizi Gallery.